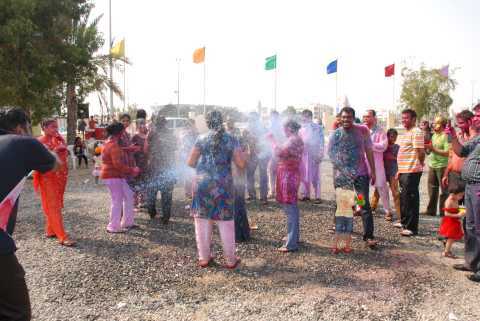 The colorful festival of Holi is celebrated on March.Holi festival has an ancient origin and celebrates the triumph of 'good' over 'bad'. 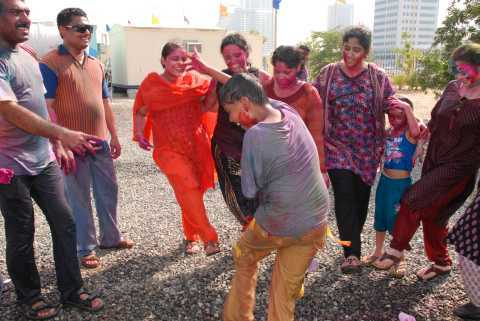 The colorful festival bridges the social gap and renew sweet relationships. 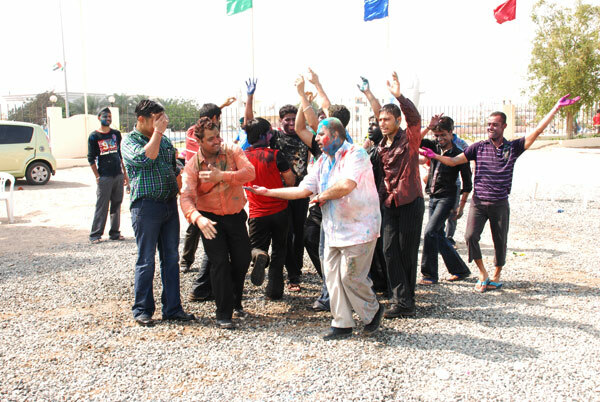 The Celeberations started at 1 pm on March 25th 2011 in Marine Club and the colorful event was enjoyed by everybody throwing color powders and splashing color liquids on each other.